On your marks, Kidza, get set ... Go! With Kidzapalooza – the #1 festival spot for kids – Lollapalooza Berlin’s second edition on 10 and 11 September 2016 invites children back for another world of new adventures and experiences, making the capital city festival an exciting event for the whole family. Lollapalooza Berlin once again welcomes kids to a world of boundless creativity and imagination, and all youngsters and young rockstars of tomorrow are invited. Lollapalooza Berlin will present the masterminds behind 'Unter meinem Bett', the guys from Pelemele and the Band Ritter Rost aboard. Check the official website here to find out what else is going on at Kidzapalooza. Welcome to the Grüner Kiez: be part of it! You want to know about exciting work by sustainable or social initiatives? Or simply try out a new experience without having to commit? Have the feeling you’d like to do something good for the world and you’re not exactly sure how? Then you’ve come to the right place. This is where you can get informed, participate in workshops and activities or simply take a stroll through the Der Grüne Kiez for some fresh insights and a look at something new. Maybe you need a little breather … come join the team in the district garden, the oasis of calm where you can relax with a glass of wine and enjoy a bit of time outdoors. If physical nourishment is what you’re after, try some of the vegan / vegetarian dishes. You will find all about the Grüner Kiez and how to attend here on the website. You want to be treated to some luxury at Lolla weekend? Look no further! 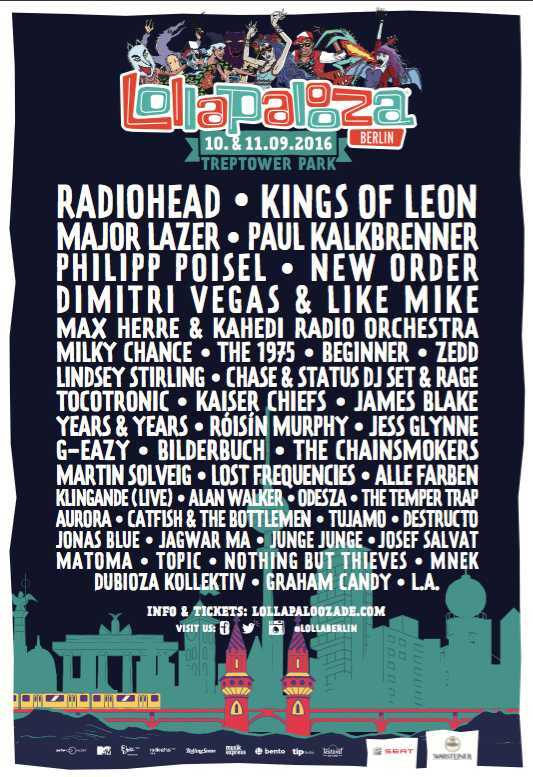 In addition to the regular tickets, Lollapalooza Berlin will be offering VIP Tickets and Platinum Tickets for all your Lolla creature comforts. For details, click here. Tickets are available via lollapaloozade.com at €139 (festival ticket) and €79 (day ticket) where you can also check out the daily lineup. 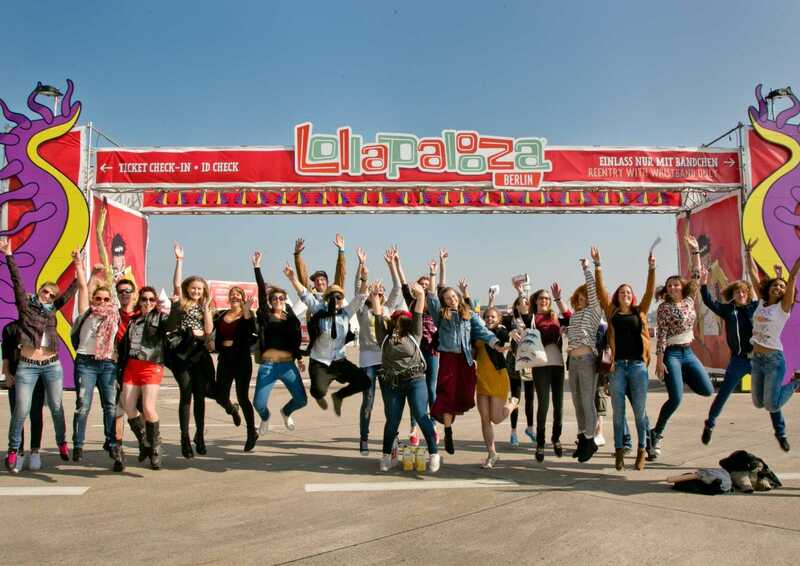 Tickets for kids and teens between 11 and 14 years of age, who can enjoy Lollapalooza together with their parents, are available at €19. Admission is free for kids below the age of 10.